Poppy Pearl Earring https://www.review-australia.com/au/poppy-pearl-earring-black/RE19ACC024.REBLK001.OneSize.html There's nothing quite as sophisticated as a pearl earring. 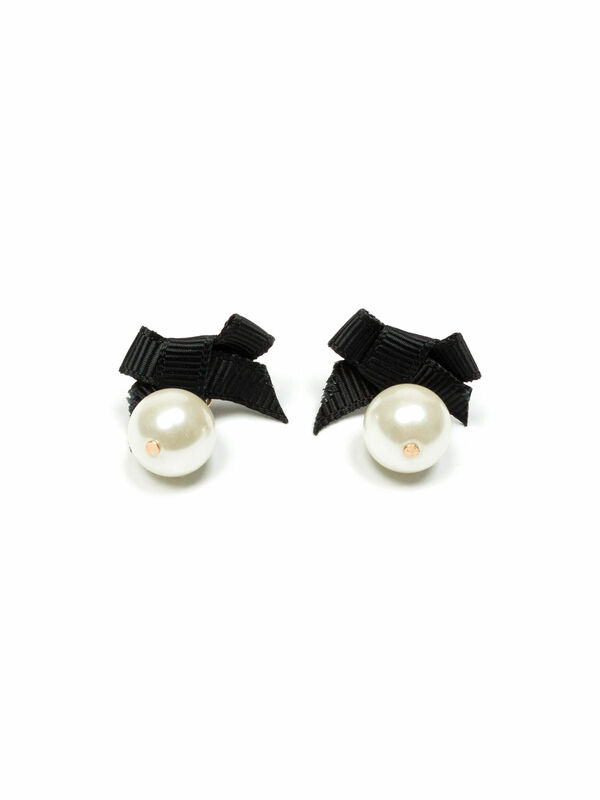 Perfect to match back with any outfit, these earrings feature a cute black bow. There's nothing quite as sophisticated as a pearl earring. Perfect to match back with any outfit, these earrings feature a cute black bow. Poppy Pearl Earring is rated 5.0 out of 5 by 10. Rated 5 out of 5 by SarahMoose from Exactly what I wanted! Bought these earrings to match my Oktoberfest dress... used my $20 Birthday voucher and they were on sale (whole store 30% off) so I paid exactly $1 and they are glorious. Rated 5 out of 5 by vanessa70 from Beautiful earrings These are gorgeous earrings and just the right size, not too big and bulky. I see myself getting lots of wear with these, they will match many outfits. Rated 5 out of 5 by Carol 15 from Eye catching As soon as I saw the Poppy Pearl Earrings I knew they would be perfect to wear with my new Spot Surprise Pants which I have recently purchased. Rated 5 out of 5 by Nickyjay from Simple, elegant, pretty Perfect accessory to complete my work outfit, received a lot of compliments from my team! Rated 5 out of 5 by t3v v from Beautiful ,good quality for party. So happy i got this for my red top &red Reviews skirt .It is so beautiful.